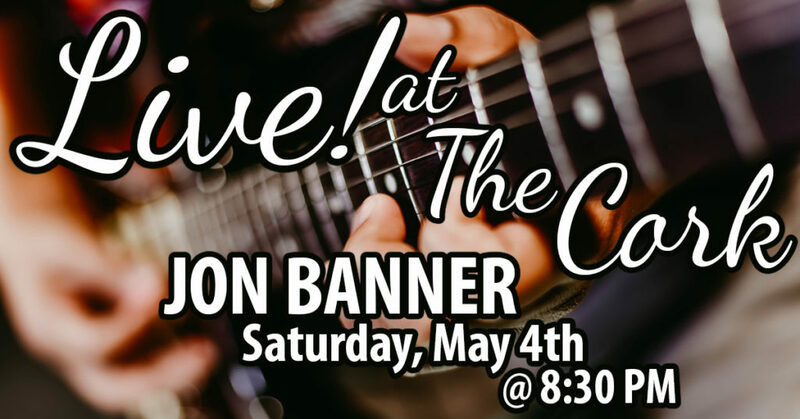 Every weekend we feature live music from local artists! Check our CALENDAR to see which artists are coming up soon, and if you’re interested in performing at The Cork, contact us. It kicks off Friday nights throughout the summer, starting at 8:30 PM. Arrive early to grab a seat and ask your server about our LATE NIGHT MENU while you enjoy! 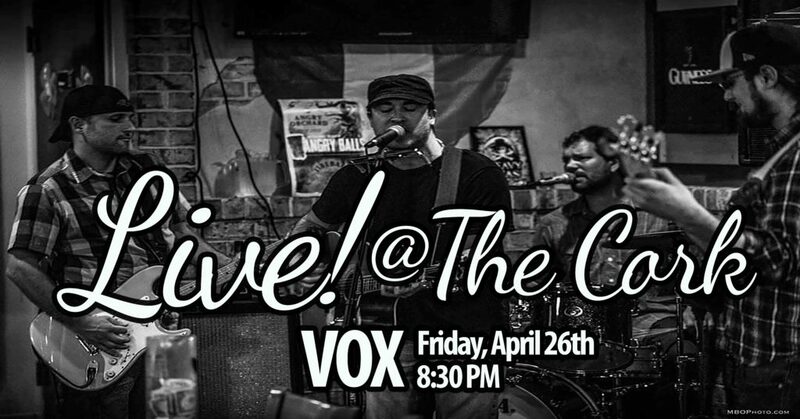 Well, we're sad to see April go, but we're excited to have Vox back! He helps us close out each month of Live! Music, so join us as we welcome him again this weekend. You'll be able to hear all of your favorite rock songs as you eat and drink the night away. He goes Live! at 8:30 PM--see you then! One of our favorite duos is back! And performing Live! this first Friday of May. Enjoy the unique sound of Dream Ticket as they rock The Cork with an eclectic setlist that has something for everyone. Come for dinner and stay for the music--starting at 8:30 PM. May the 4th be with you here at The Cork! With a little help from newcomer Jon Banner, our Live! Music series continues tonight. 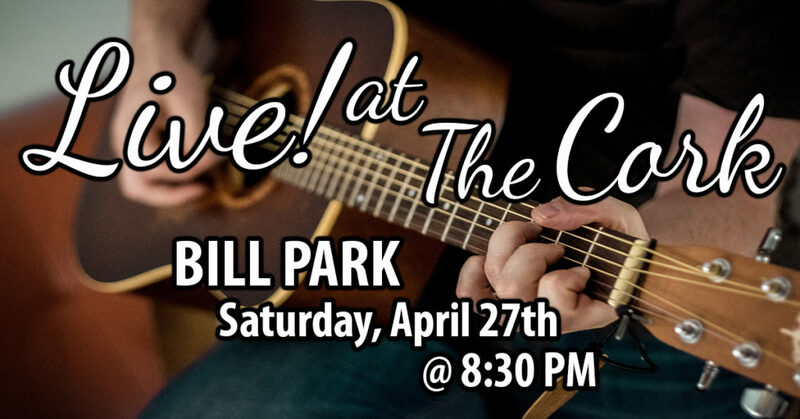 After dinner and drinks, stick around for a musical performance worthy of your Saturday night! Starting at 8:30 PM. It's always a great time when this twosome travels up from Towson! 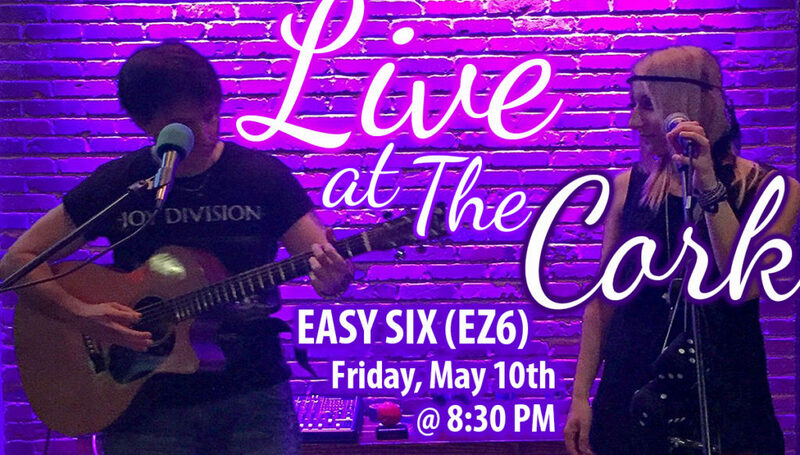 Tonight, you can catch Easy Six in the 'Burg as part of our Live! Music series. Between his guitar skills and her vocals, you won't want to miss this. See you at 8:30 PM! Two months is too long to go without a little Drew Stevyns in your life! 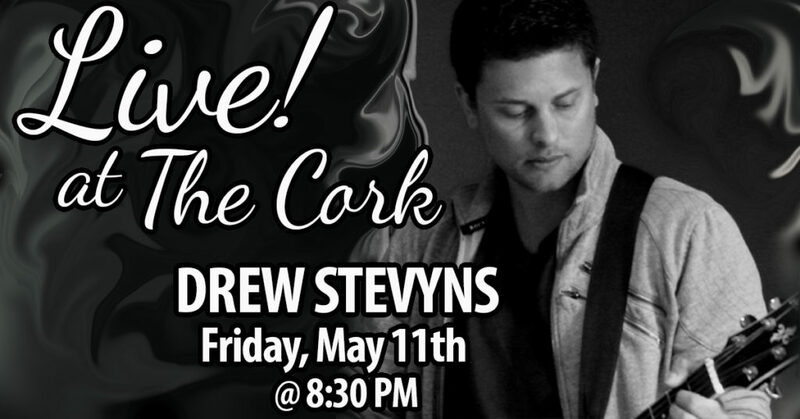 Our local celebrity is coming back to The Cork and taking our Live! Music series to the next level! Come early to grab a seat and enjoy some dinner before his performance starts at 8:30 PM. 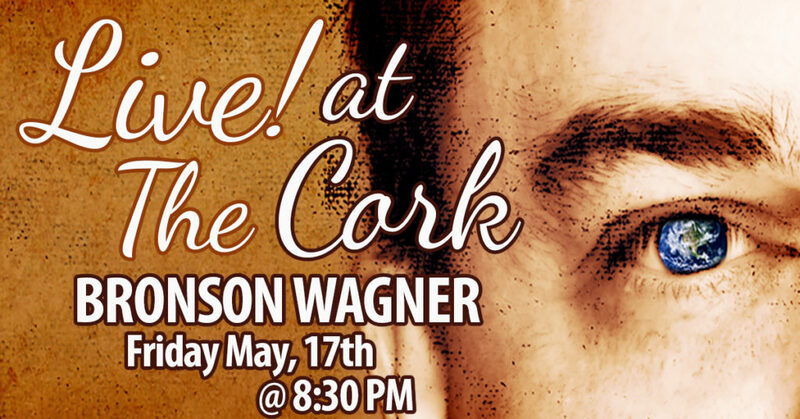 Tonight, you can hear Bronson Wagner Live! and solo at The Cork. Although he usually headlines Bronson & the Earthlings, he's bringing something slightly different--just for us. Catch the full performance starting at 8:30 PM. 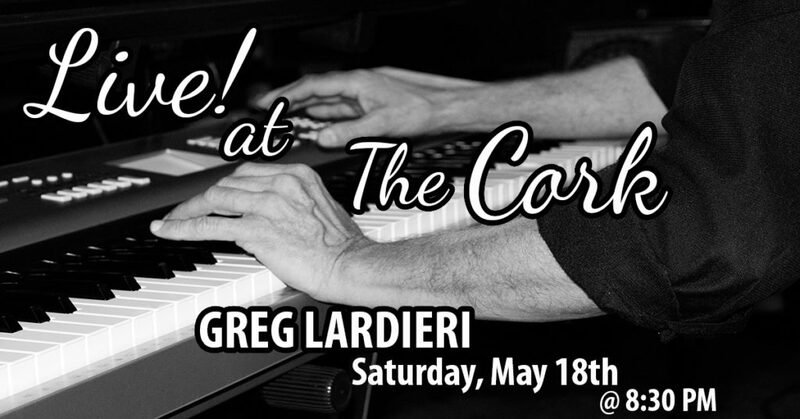 Welcome newcomer Greg Lardieri to The Cork this weekend! 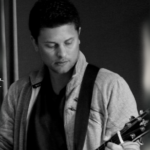 You may have seen him perform with Gary and the Groove, but this Saturday night, he's performing solo. 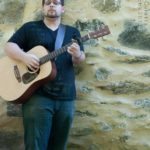 As a talented musician in his right, he'll cover the classics with his skills on guitar, keyboard, and vocals. It all starts at 8:30 PM! 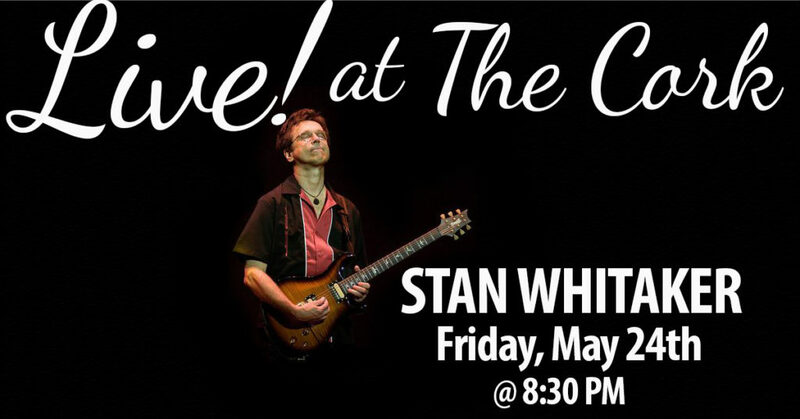 Stan Whitaker offers a performance like no other! Formerly of Happy the Man, his sense of humor and musical joy shows through every song. But he's got the musicianship to back it up, too! If you haven't heard him Live! before, join us tonight at 8:30 PM. It may be Memorial Day weekend, but not everyone left town! 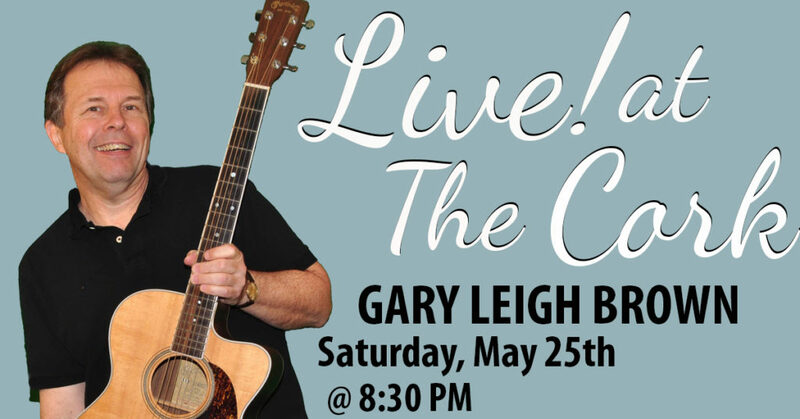 We're still here--and Gary Leigh Brown will be joining us tonight! Although he also performs with Gary and the Groove, he's bringing his solo act to The Cork this time. 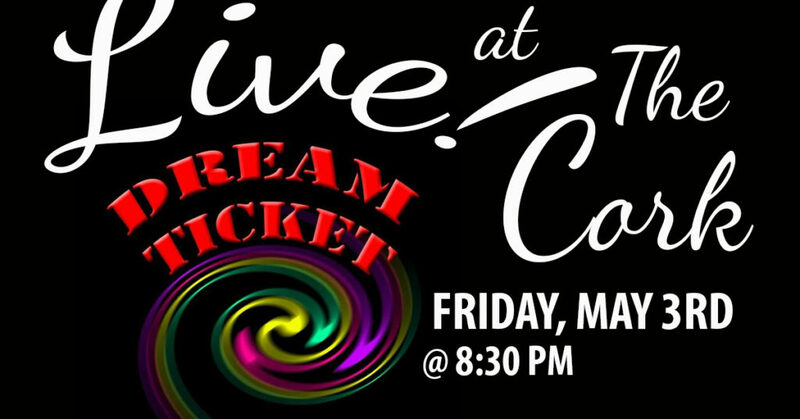 You can hear classic covers and original compositions all blended into one great evening--starting tonight at 8:30 PM. 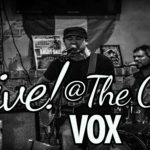 Vox is returning to The Cork throughout the summer with a funky blend of genres and a high-energy performance! Prone to great guitar solos, you have to hear some of his twists on traditional rock songs. 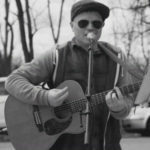 As a Baltimore native a regular Carroll County performer, we’re pleased to welcome Matt to The Cork! He plays here regularly, so check the calendar for his next performance. Come Play at The Cork!